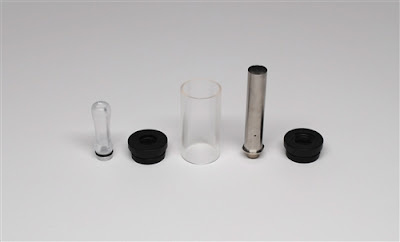 This is the reuseable version of the original Vape Safe. This deal is about 50% off the normal price. If you have a mechanical mod – get one. Here is a great deal on A Sigelei Zmax Kit. The last deal I had on here for a Sigelei (mod only) blew out the door @ 74.00. 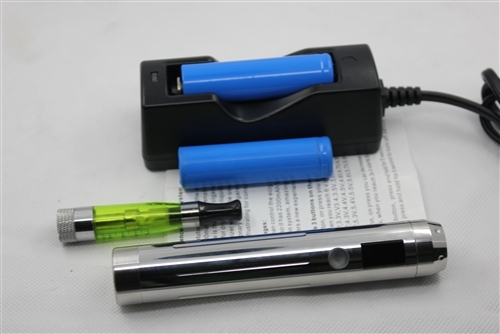 Considering you getting the Stainless Steel model, Two 18650 Batteries, Charger, and Clearomizer – I think its worth the extra $16.00. This kit also ships free. 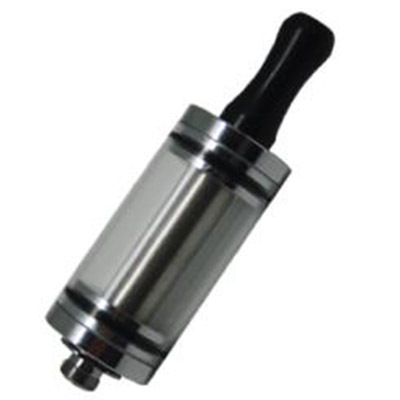 This is the Third Iteration of the Zmax from Sigelei. This revision has a new PCB for better tuned voltage and wattage. It also has the new 8th menu option which changes the voltage calculation formula between RMS and Mean as well as the spiffy OLED screen. Ultimately if this means nothing to you, just bump the V or W until it tastes good! This listing is for a full kit. You’ll get the Zmax itself with the 18650 End cap, 2 18650 batteries, 1 battery charger, a CE5 Atomizer and a nice little gift box! This model also has 510 threading for connecting to the widest variety of accessories and a deep drip well that should allow most “Ego” threaded accessory skirts to fit beside the primary connetor threads. The Zmax functions in either Variable Voltage (VV) or Power Regulated (PR) modes. In VV mode you can move in 0.1 v increments from 3 to 6 v. In PR mode it will adjust in 0.5w increments between 3 and 15w. The new PCB supports up to 4amp of output. The device comes with a user manual for deciphering it’s menu system. You will need it, this thing has a TON of options. On Cybermonday I ordered a ton of this vendors juice. His sale was so good I ordered 20 different flavors. I liked it all. Some better then others, but all very vape-able. The best was the Banana Bacco. Many people who bought from him are having the same reaction. He has caught up with all his sales and has issued a 20% off coupon. This brings the cost of a 10ml bottle to just $3.83. If I were you Id give him a try. Some of the basic flavors are as low as $2.00 for 10ml. Dont forget to pick a free sample with your order. Use coupon code patiencepays for 20% off your total order. I spoke with the owner of littleshopofvapor. I asked her to put together a great kit, and she didnt disappoint! A Vaporjoes.com exclusive – A mix of quality batteries, clearos and juice. 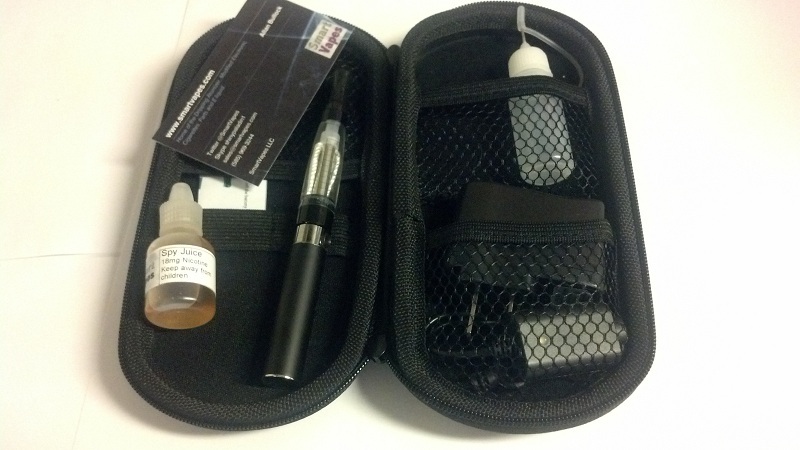 This is a kit is great to gift, for a new vapor – or if you looking for a fantastic portable set up for yourself. The juice alone costs $10.00 on pinkspots website. This is a 1 time use coupon – Limit of 2 per order. Mtbakervapor is running a 10% off juice sale. With their juice already incredibility low priced, this makes it a must buy. If your looking to stock up on some juice id suggest the Tobacco, Hazelnut Tobacco, Root-beer Float, Twilight, Solar Flare, Ecto Cooler, Thug Juice, and Coconut – to name a few. I buy these on a regular basis but of course taste is subjective. 15ml are just 4.49 and 50ml are under $10.00. They also have a great build your own juice section. Use coupon code vaporfrombaker for 10% off your total juice order. Great for a gift or newbies! Here is a fantastic deal for the new vaper. Hell its a great deal if you want a portable set up! 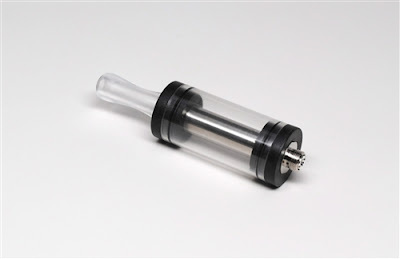 Bonus needle point empty ejuice bottle for refilling clearomizer! For 19.99 this kit is one of the most reasonable going. Bombvapor is running a 30% off sale on all juice (including bulk) and gift certificates! If you haven’t tried their juice yet – you should. CherryBomb is fantastic! 4. click on and off. Everyone can use an extra DCT! Good Stocking stuffer too! The Holocron Labs ShortStop is a wonderful product that helps you mitigate the dangers of using high powered lithium-ion/lithium polymer batteries in your device by preventing hard or dead shorts between your battery and what that battery is powering. This helps to prevent the battery ever getting hot enough to vent or catch fire. It works by watching how much current flows through it and when it notices a large amount of current, it springs into action and slows down the flow, preventing a hard short of the battery. The best analogy we can draw is that of a cars seat belt. It’s loose and flexible until your car is involved in a crash, and then it locks down when you need it. The best part about ShortStop is that it is reusable. After ShortStop does its job, it simply needs a short cool down period before it is ready to use again. ShortStop will fit in most devices using 18mm or larger cells ( 26650, 18650, 18500, etc.. ), because it is slightly smaller in diameter at approximately 17mm and only about 3mm thin. ShortStop has no polarity, meaning it works in any orientation and on either side of the battery. You can use ShortStop in multi-cell or ‘stacked’ configurations, so long as the sum of voltages of all of the cells in the series are less than or equal to 12 volts DC. ShortStop can be used with protected cells, and doing so will give you the peace of mind knowing that ShortStop will act at approximately 5 Amperes, providing a large flexibility in atomizer/cartomizer type and resistance. Bottom line, if it fits, it works and keeps working! Please make sure you read and understand all of the instructions and precautions included with your ShortStop before using. Here is a great deal on the ViVi Nova Neptune. 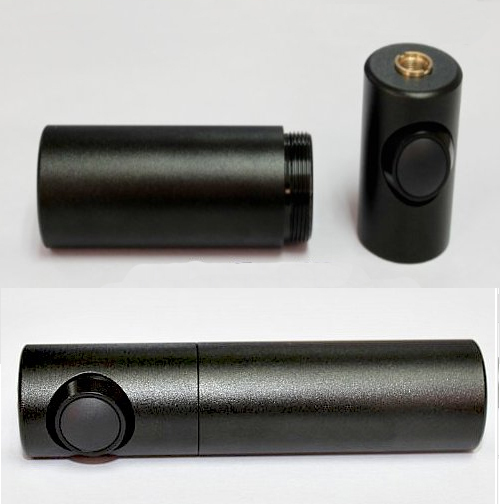 These bridge the gap between the normal vivi nova and the aluminum tube replacement. Nice little stocking stuffer! These beautiful Vivi Nova’s not only look gorgeous, they perform well to boot! These come ready to vape at 2.4ohm +- .2 with replaceable coil heads available in 1.8ohm, 2.4ohm, and 2.8ohm. Available in colors made to match our ego kits: Blue, Red, Purple, and Silver(Chrome). These work nicely on just about any setup. We recommend going with the 1.8ohm for a standard 3.7v e-cigarette battery (such as a standard ego). 2.4 ohm would be ideal for use on our eGo Twist Kits, and 2.8ohm would be the place to start for higher end variable voltage devices such as Provari’s or ZMax’s. Here is a quick sale from Ivape.net. The black bolt by Smoktech has been around a while and its a solid 3.7v device. 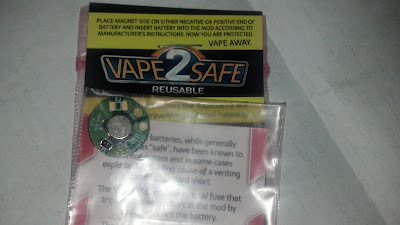 It uses an 18500 battery and is a geat starter mod or for an extra PV. For $14.95 its a steal. His stock is low so I have no idea how long this will last. These are the version 1 (metal construction), not the plastic ones. Tonight I will be the guest of JeannieK on her VpLive show. Her show starts at 9:00pm EST and I should be on around 10 minutes after the show starts. We will be talking about the ins and the outs of Vaporjoes.com.